Located on a lovely tree-lined street in Francisville, one of Philadelphia Magazine's "neighborhoods to watch", this multi-family property is a fantastic income-producing investment or the perfect home for an owner occupant looking to have the rent of one unit cover the mortgage of the building. The best part? Off-street parking! Completely rehabbed to the studs in 2006, it has been outfitted with modern amenities and custom finishes. The first floor bi-level unit is bright and airy with 2 bedrooms and 2 bathrooms. The open floor plan is great for entertaining and an extra flex space on the lower level provides a second entertainment room or in-home office. Upstairs, find the owner's unit consisting of the 2nd and 3rd floors and featuring 3 bedrooms and 2.5 baths. This bi-level unit boasts recessed lighting, gleaming hardwood flooring and large windows flooding the space with natural light. The kitchen is every home's hub and this kitchen does not disappoint with stainless appliances and stunning custom-crafted burled wood cabinets with plenty of counter space for food preparation and gathering with family and friends. Sliding doors invite the outside in and lead to a sunny deck, great for dining al fresco. A few steps up, you'll find the dining room and living room, tastefully decorated with handsome colors and furnishings. On the third floor, you'll find three bedrooms and beautiful hall bath with a subway tiled stall shower. The spa-like Master bedroom suite features a whirlpool tub and stall shower. Be a part of Francisville's renaissance! Watch the revitalization of the Divine Lorraine and enjoy all of the new development surrounding you. You'll love the easy access to The Ben Franklin Parkway, based upon the famous Champs-Elysees in Paris and you'll enjoy showing visitors Philly's famous museums including the Philadelphia Museum of Art, the Academy of Natural Sciences, The Rodin, The Barnes and the Franklin Institute. For the foodie, walk to delightful bistros, gourmet food shops, friendly cafes, fine restaurants, and local pubs along Fairmount Avenue.  Runners and bikers will love the close proximity to Kelly Drive, Boathouse Row and the banks of the Schuylkill River. If you are looking for an income-producing property with parking surrounded by some the best neighborhood amenities Philadelphia has to offer, you have found your home!